Is it a good way to test the viability of your book? Will you get funded if nobody knows you or your work? Is there a financial risk in crowdfunding? What are the different crowdfunding services? How do extra incentives work for crowdfunding donors? Tim Lewis: Hi. I’m in the end process of panic writing a book. So that’s quite nice to have a little bit of time to do this instead. Jyotsna Ramachandran: Yeah, that’s cool. Awesome. So today I was thinking that let’s talk about the option of crowdfunding because that could be something that a lot of first time authors could benefit from. And even published authors were writing their second or third book. What is your take on crowdfunding them? Tim Lewis: Well, I can see the attractions of it, but it’s one of those things where people who are advocates of crowdfunding will say that it’s the best thing since sliced bread and this is the way you should do all books and they’re all real advantages to doing crowdfunding. But I think some of the disadvantages, people don’t necessarily consider. I suppose we should probably start as this is a beginners show by actually describing what crowdfunding is a. So all I can do that if you’d like, or do you want to explain? Okay. So in the simplest case, it’s literally the word crowdfunding, so your crowd and you’ve got funding. So what you would do is you would put up like a web page on usually some sort of crowdfunding site and then you ask people for donations or contributions towards funding your book or other project and depending on how much they give to you for the project you promised particular rewards. It depends on the scheme. I mean there are some charitable sites for things, but for a book you kind of expected. So the simplest thing would be a copy of your book. But for some people it may be, if they were big speaker, they may have packages where they give away 20 books or they will speak at somebody’s conference for like $500 or something along those lines. So the idea of crowd funding the project is that before you write a word and before you do any other thing, you create one of these crowdfunding projects and say I want to write a book about a Alpine skiing or something like that. And then you’ve got your rewards that you set up and you usually have a video explaining the project you want to do and then people can see. And then you actually got off a month or so or two months. I’m not entirely sure how long people usually run these campaigns. I think it’s kind of a setting on the sites. Again, depending on the site, you can either get up to the amount that you asked for and then the project will be funded or not funded or some sites like Indiegogo, you basically you will get the money that’s alleged even if it’s less than what you would necessarily ask for. So it’s kind of a way of de risking a book project in as much as before you even start spending money on the project. You’ve got basically this money available to fund your book. So it’s really brought a crowdfunding project ease. Jyotsna Ramachandran: Yeah, absolutely. And I think a lot of authors, they know the advantage of self publishing, but what stops them from going ahead and publishing the book is a thousand or $2,000 that they need to invest in the project so that they’re able to raise that money from people who are willing to support the book. Then I think it’s a win win, right? Tim Lewis: Oh yeah, the good thing about crowdfunding is that if you create a crowdfunding project, that’s probably gonna be less work than writing a book and then discovered that nobody wants to buy it. We could test the concept. Yes. I mean, not that it’s a fantastic way of doing it. I would say the drawbacks of crowdfunding is that you all having to do all your marketing effort right at the beginning. And if nobody knows who you are, unless you’re project is really, really, really good, you’re not going to get funded. And that can potentially put you off a good idea for a book because you weren’t able to get the people who would have bought the book if it’d been on Amazon to your crowdfunding site because they’re not the side of the people who do crowdfunding. Right? So obviously a better option for people who’ve already got an existing following. So if you’ve got a blog with a thousand people each week following your blog, then crowdfunding kind of makes more sense in the why because you can just get them to do that. I mean it’s good if it de risks everything for the author. Jyotsna Ramachandran: One doesn’t really have to invest much in putting that out. Right? So there was absolutely no risk. So I would say that people get to test it and as you rightly mentioned, I’ve seen cases where the campaign has been super successful and the author has raised $50,000 and I’ve seen people who have not even got five dollars. What is that to say having a following is pretty true because if the author has a blog or some kind of service and they have been already having a gathering, a huge following online, willing to do anything it takes to support the other and it’s really, it makes sense to make use of that resource because those are the people will not just spend those $2 on Amazon but are willing to buy something at a higher value, new like a set of 10 books for $50 or the books plus your one on one coaching for $500 so they’re willing to spend that extra money and get the value from the author. So I think people who have a great following already should definitely use this as an opportunity to serve their audience more and also raise more money. But on the other hand, there are people who are new and nobody knows them yet. However, if they use the campaign well and market the campaign everywhere, it can still do well. The problem happens when people assume that they just put the book on the website. Anybody, any crowdfunding website and people should automatically find the book and fund. That’s I think too much to ask and that doesn’t usually work, right? Tim Lewis: Well yeah, there is a downside which people don’t appreciate about crowdfunding in as much as if you’ve got your existing following. So you’ve basically got your fan club and my old going in and buying like a boy into the crowdfunding campaign. Then when your book is available on Amazon, they’re not going to be buying the book there. So is another issue to think so we’re not been suggesting crowdfunding to people. I think as you say it actually having no options available where people gave $900 or $500, you’re giving away your coaching so you’re not actually getting everybody who would have bought your book to buy the book as part of the crowd funding campaign because you want people to buy the book when it’s on Amazon as well. So you can chart and you can get the Amazon success. Because otherwise your basically having a crowdfunded book project, which might be massively successful, but that’s covering the costs of your book unless you could say costs here and there maybe so that’s something else to consider in terms of a crowdfunding project and you’re right, if people, people really don’t dedicate the time to either build up an audience to bring to a crowdfunding project or they don’t have something that’s just so amazing and an idea that people on that particular crowd funding project are going to buy it. Then it’s a waste of time basically to do it. Jyotsna Ramachandran: That’s right. So can you talk about some of the websites that are really good for crowdfunding? A few of them that I’ve come across. There are some general websites that where you can raise funds for any product like Kickstarter or Indiegogo and there are specific book related grant funding sites like Publishizer. So have you tried any of them do? Tim Lewis: No, I’m not trying that. I have known people who’ve done Kickstarter projects. A lot of people who don’t. I think it’s Publishizer, I think there might be a few, sites for doing books, specific ones right now, the advantage of being, I know there is a difference between Indiegogo and Kickstarter, they host general crowdfunding projects, so you’ll see people who were like trying to do a flight list, sort of a drone or something or some video game or something like that. Kickstarter was the most famous of the crowdfunding platforms and that has a very strict. If you don’t earn enough money to pay the amount of money you were going to pay, then if you get to the end of your project and you also 50 pounds and dollars and you get $49,000 that you won’t get the money. Everybody gets their money back. We funded Indiegogo from my understanding, and this may have changed in that situation. You get the $49,000 anyway. So you could say, well maybe you should go from Indiegogo and Kickstarter and I think the publishers and a lot of the grant funding things are the same is Indiegogo. Jyotsna Ramachandran: I’ve tried the Publishizer a couple of years back from my husband’s book and we couldn’t raise the full amount, but they gave whatever money was raised through them and they take a small percentage, five percent or 10 percent as a punishment, which is, I think quite fair, but right now I’m one of the registered partners with Publishizer. So what they do is they ask a lot of publishing houses and self publishing services like my company to be on their board. So we get to work with the artists who are running campaigns. so the trend I see there, because I get to talk to a lot of authors to Publishizer for raising their who are doing their campaign. And most of them come to that website hoping that one of the big five publisher will find them and publish their book. So that is the bigger aspiration for a lot of authors rather than just raising the money. So what they typically do is, what Publishizer would do is if you if your book hits a certain number of preorders, like hundred or something, it would showcase your book to the bigger publishing houses and then they can probably offer a contract or they can check out the outline of the book and see. But that is something that many authors I think is one of the advantages, but other people, most books don’t reach that unless the book, the book’s author has a huge following. They don’t reach that number of downloads preorders. So they just set it for whatever they received and then they take the money to fund the book and self publishing themselves. So that’s the general trend I’ve seen inside publish and stuff. Tim Lewis: I mean a lot, some good reasons to do a crowdfunding book, especially if the concept in itself is a trend to you. In your experiences with the authors Publishizer, how have you found that nonfiction or fiction does better in this crowd funding project? Jyotsna Ramachandran: It totally depends on how well the author is using the platform to market themselves. So it totally depends. I have seen a lot of nonfiction books do well. I think the success rate is the same. It all depends on how well they set up that page. So I see authors who just mentioned the name of the book and two lines about the book and even their own mom will not fund that campaign, but I see a lot of other artists who invest a lot of time and first getting covered design because that’s the face of the book and they put the nicely designed cover there so they’ve not yet invested money in editing or oriented. Even finished writing the book, but at least they invest on the cover. And do you have an option of putting out a nice video so they should a good video either at home or they create an animated video which describes the books. So that’s like a one minute or two minute video that they upload and then they write exactly of who the book is for. How is it going to benefit them. This is for a nonfiction. So. And what are the, how is this book different from the other books that are out there and what specific problem is it solving? And so they really go in depth in explaining what, how this book is the best that can ever happen. So that way it really gets more attention and people think that it’s a worthwhile project to fund. And as you were mentioning, Tim, it’s not just about having the ebook or paperback but they have a lot of the stack, lot of offers if you see on the side. So it starts at $10 and goes up to even a thousand or $2,000. So it could just be starting with an ebook and then they package it with the paperback and then auto signed copies will be more expensive and then you have a startup video, like a three video series as another bonus. So that would be priced at say $50 and then maybe a consultation session or a one day coaching program at your company or whatever. You know, it depends on the topic of the book, but people come up with crazy deals and people who really find value in it end up going and sponsoring the book. So it all depends on how they project the book and how they position it. Tim Lewis: Some advice to somebody recently who was running a crowdfunding campaign on published articles on different platforms but what was funny but actually had like escalating numbers of books so it was kind like that hundred dollar one was like 100 books and I was like, well actually I’m not sure that that’s such a great idea. Because a lot of people aren’t being well am I going to do if 100 books because then you asking the person to be reselling the books for you. So something like as you say, maybe 10 copies of the book or something like that or five copies of the book and then a free coaching session or something like that. Just keep going up and potentially have the option for. Just want somebody to get one copy of the Book and a coaching session. That’s a little bit. Jyotsna Ramachandran: Do want to sell 100 copies to one person, a smarter way of doing this. If the author is also a trainer or a speaker, they can say that a book me as a speaker at our company and just pay me $5,000 and I will be giving away 200 copies of my books to your employees or all the people attending the training training session. It looks like they’re getting paid for the speaking or training, but the book has just given away as a free bonus. So people perceive that, but in a better way. Tim Lewis: Yeah, I mean, it’s certainly a different way of thinking about publishing. You run into. People should certainly look at crowdfunding as an option. But a site, I think there are issues potentially with if you’re then looking to be successful on Amazon, you may suffer because you’ve already used up your kind of friends and family and following for the crowdfunding offering. So that’s something to be aware of though. For nonfiction, that’s probably less relevant because for the nonfiction church, you don’t actually need to sell that many books to get into the chance. So that’s something to be aware of. I think just certainly for fiction. Jyotsna Ramachandran: the author should have in mind that the people who have supported crowdfunding campaign may not, again go and buy it on Amazon. So that set of readers should be marketed differently. Tim Lewis: Yeah, for the crowdfunding campaign. It’s like if you, I mean, I’ve seen people do it and then I have a lot of these strategies have like tweet when you signed up for this person’s campaign, you get publicity from the crowdfunding campaign anyway. So I suppose that kind of helps. Jyotsna Ramachandran: Yeah, I think that publicity is a huge bonus because many authors take six months to a year to write the book, but they can start reaping the benefits of becoming an author by just starting the campaign because the minute you start the campaign, especially if it’s a first time author, the world will start looking at you as an author the respect and the opportunities could just start even before you start writing the book. So that’s a good advantage. I look at it as an advantage. But what I feel is if the author has a lot of problems in terms of procrastinating the project, the minute they go for a crowdfunding campaign it’ll be like a subconscious accountability because you are answering to all those people so that might propel them to go ahead and finish the book if they are, you know, lazy like me. Jyotsna Ramachandran: Yeah and besides just ask us to keep updating on what’s happening, so it’s not really too much pressure as long as we keep telling them what’s happening because the guy who is funded my book six months back wants to know what’s happening, so it’s just a good practice to probably shoot an email to the entire set of people once every two weeks and tell them, hey, my book has just got over it. It’s just gone to the editor’s desk or some kind of an update so that they know they’re alive. Tim Lewis: Have you still a book outstanding for you from the crowdfunding thing? Repeat that. I really got a book that a outstanding. Have you got any crowdfunding books that you’ve done are still waiting to be published then? Jyotsna Ramachandran: Oh, that is. They’ve not completed yet. Tim Lewis: In your case, I mean you were saying or were you speaking more generals? Jyotsna Ramachandran: It happens actually. It’s not. Oh, I’ve put one book out there, but we finished it even before the campaign got over that, but the books that we are working on with Arthas, so what I do is once a month I go inside Publishizer and check out which are the interesting books that I want to accomplish and I reached out to those artists and many of them are really very organized. They’ve already finished the manuscript and then they go to Publishizer. But there are several authors who want to take six months to finish the book, but they just want to test the market and just put it out there and see. So I’ve seen both kinds of artists totally depends. Tim Lewis: How long a time period between when the campaign finishes and when they were actually delivered? What’s reasonable? Jyotsna Ramachandran: Well, it depends again, we should also include things like the printing time of the book and everything after the right thing. So it’s very important that we share a tentative plan with the people who funded the book. after the campaign ends we can just tell them that, hey, this is where I am right now, so I will take another two months to finish writing and then I need about a couple of more months to edit and format and then another 15 days to print it and ship it to you. So you are integrated there in my, I have your contact information so I’ll keep you posted. So if we give a logical timeline to people, people are willing to wait. So I don’t think that should be a problem. Yeah. Run campaigns for about a month and then we just need to keep informing these people. Jyotsna Ramachandran: then because you mentioned about pre order on Amazon. I’m just curious to know what’s the main difference between doing a crowdfunding campaign outside of Amazon and doing the pre order campaign inside Amazon? 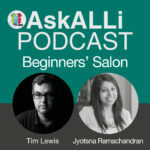 Tim Lewis: Well preorder is basically just like publishing a book on the KDP or Ebook platform, but you do it all three months or up to three months before you’re actually going to publish a book and you don’t need to have the final manuscript ready. You need to have some big job load. So at the moment I’ve got a lot of placeholder that sit in the emerson thing, which is why I need to finish this project quickly so I’ve actually got the profit beginning to finish. So it’s not really that similar to a crowd funding campaign because you still got to fund everything yourself and do all the work, but you are making that commitment to the future date as, as you would with a crowdfunding site. If I don’t make this deadline, then you get basically banned from doing preorders for a year. And I’m not sure what happens to your other books, but Amazon put you in the dog house. and you can do, you can do pre orders on apple way and Kobo and lots of the other companies as well. In fact, I think all of them do. So I’ve got the book on published drive for preorder and loads of platforms as well. or two is really just a way of committing to have the book available. What particular date in the future? It’s not quite the same as, I mean you could after you finish your crowdfunding campaign, put the book on pre order so that you are committing to say to your following list, this is when the book’s going to be available generally. Jyotsna Ramachandran: So all the money you collect during the pre order phase comes to you after the book is published, right? Jyotsna Ramachandran: Okay. That’s plenty of options to choose from. I think it’s worth exploring this option of crowdfunding and seeing whether it’s right for you. It may not be right for everybody, but there are a few good websites which people can check out the pros and cons and decide which one is right for them. Yeah. So I think. Thank you Tim for sharing all your experience with regards to crowdfunding and we’ll see you all next month in yet another episode of the Big Salon. Until then, don’t forget to hit the subscribe button on Youtube! bye!